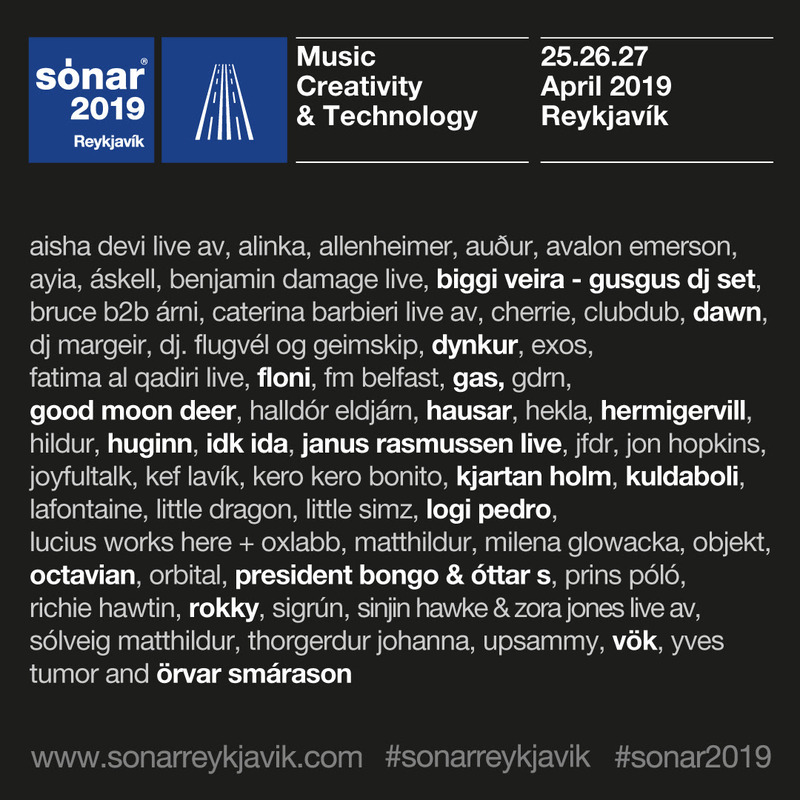 DAWN, Octavian, GAS, Vök, Biggi Veira and Flóni help complete the line-up for Sónar Reykjavík 2019. The Iceland festival returns to the Harpa from Thursday, April 25th to Saturday, April 27th with one half of Kiasmos, Janus Rasmussen, performing new solo material alongside Kuldaboli and Kjartan Holm, brother of Georg Holm of Sigur Rós fame. Previously-announced acts include Orbital, Little Dragon, Richie Hawtin, Jon Hopkins, Little Simz and Objekt. For tickets and details go to sonarreykjavik.com.